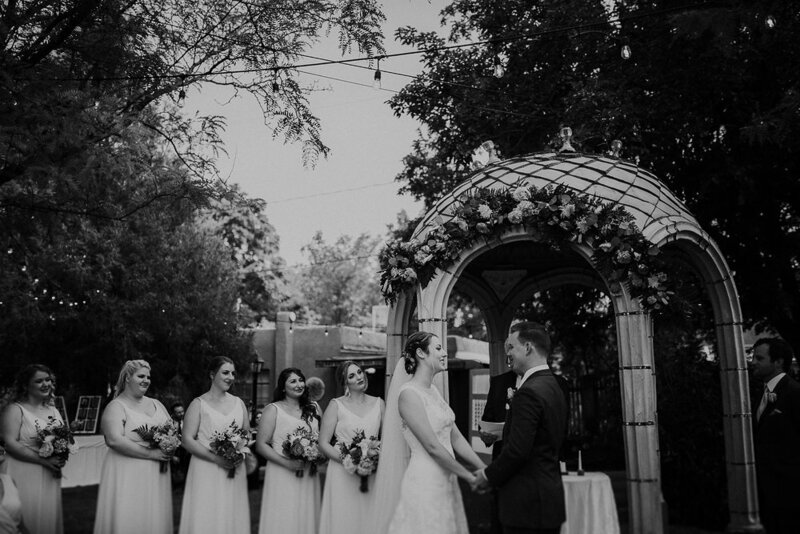 On a hazy, rainy summer day, Matthew and Laura tied the knot at the ever enchanting Casa de Sueños near Old Town in Albuquerque, NM. 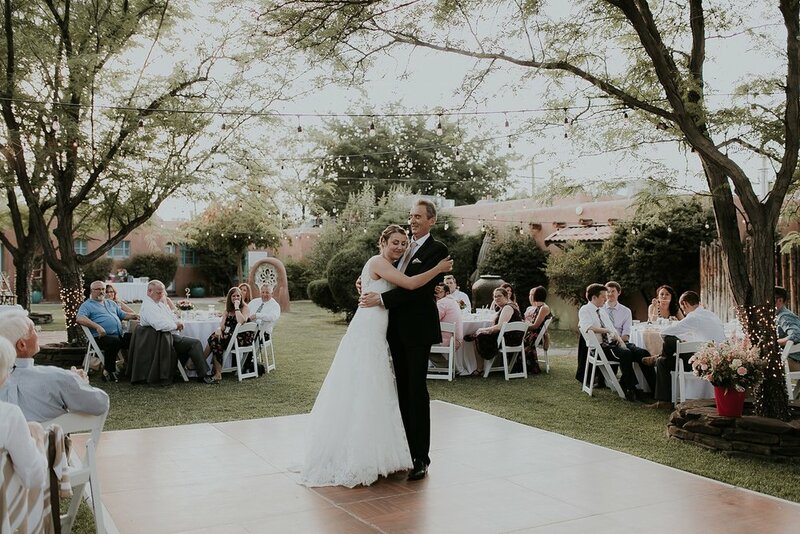 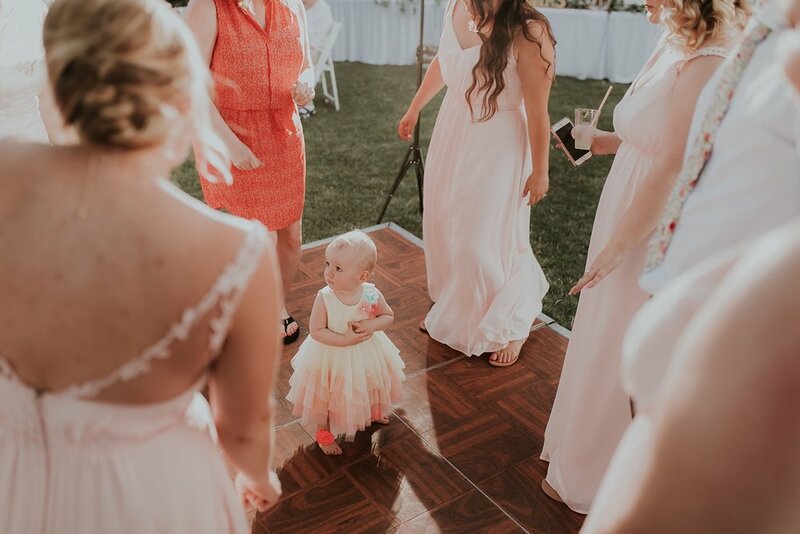 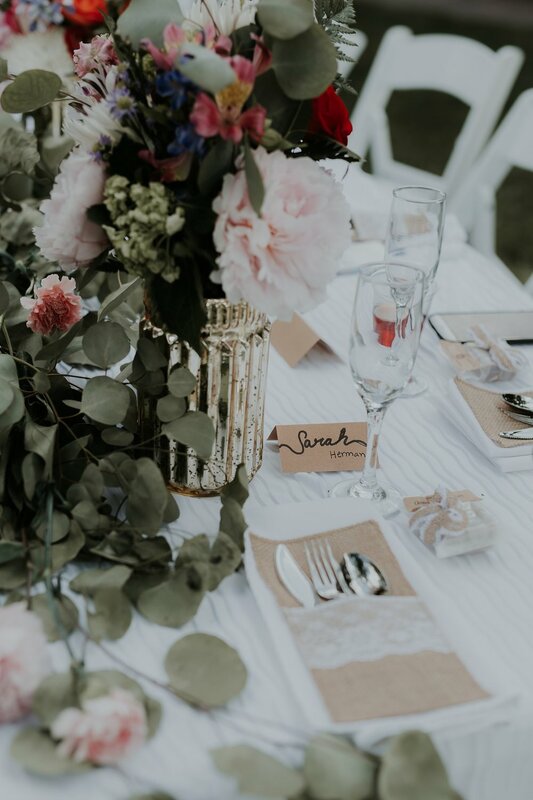 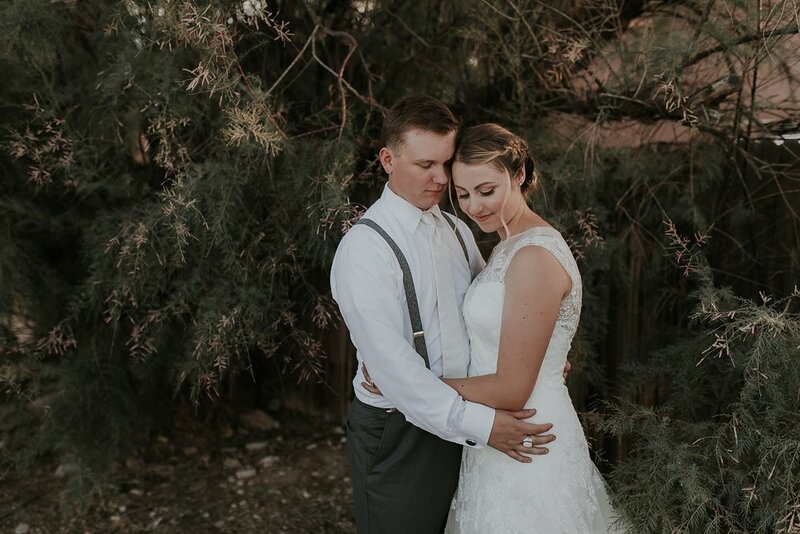 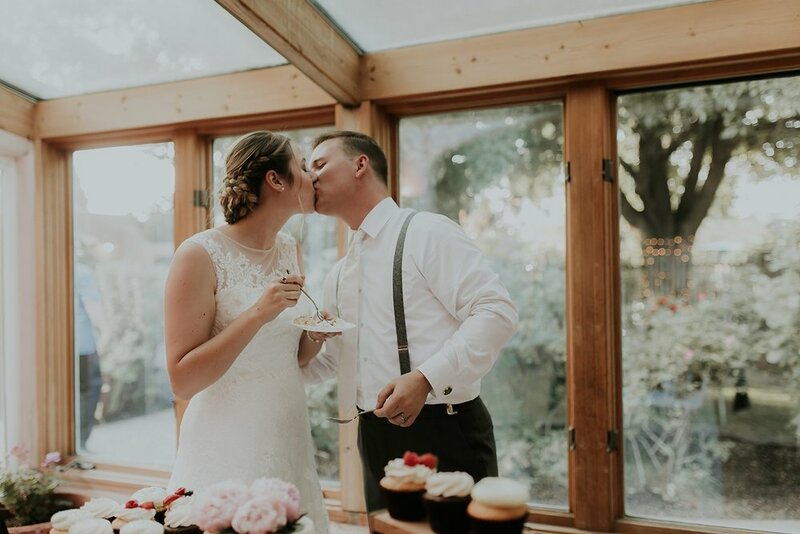 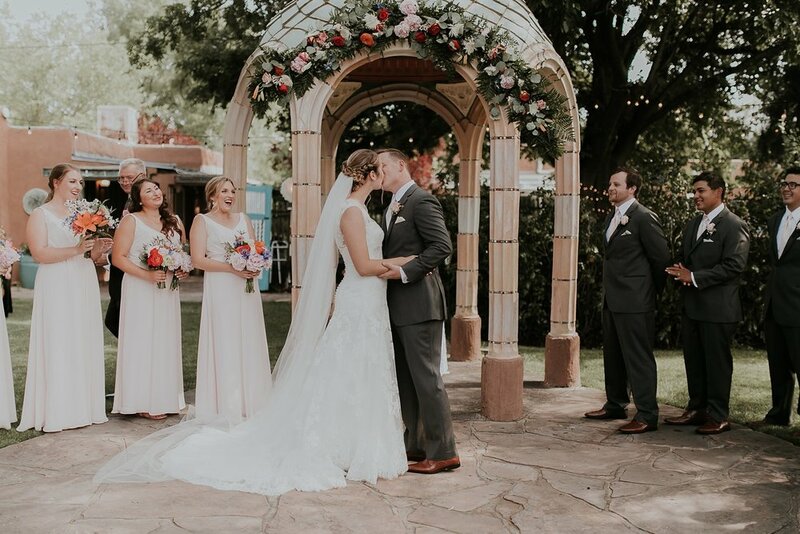 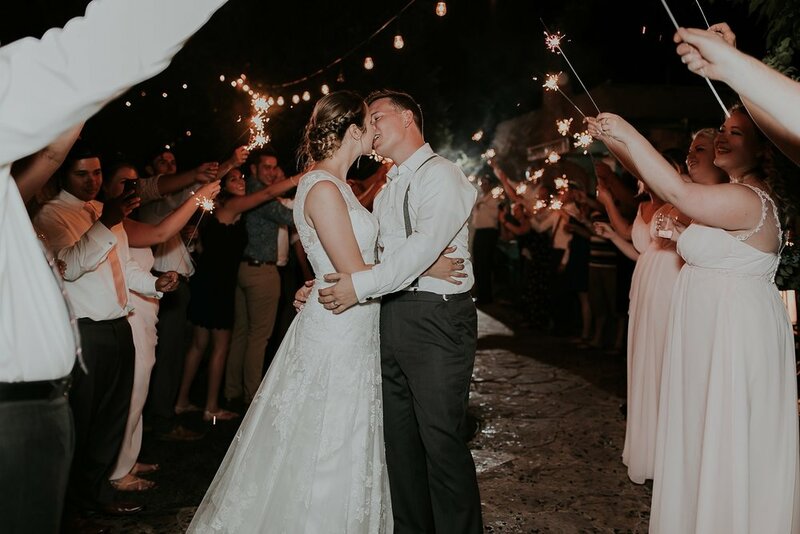 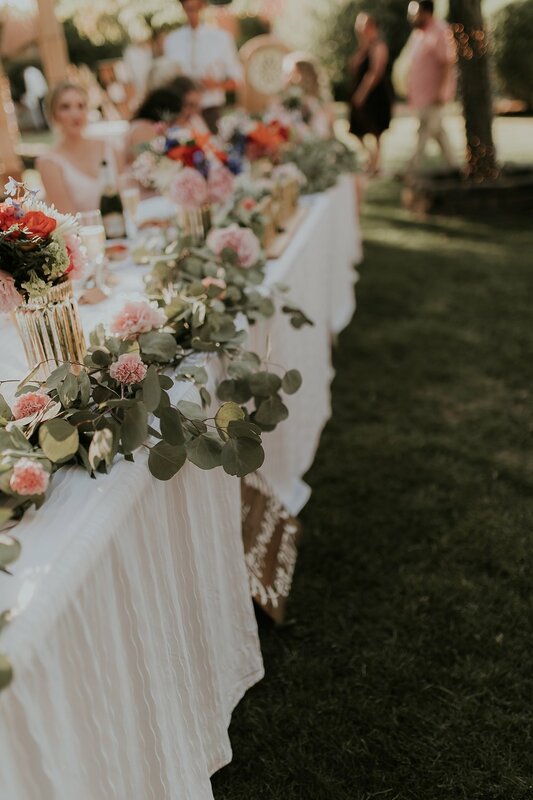 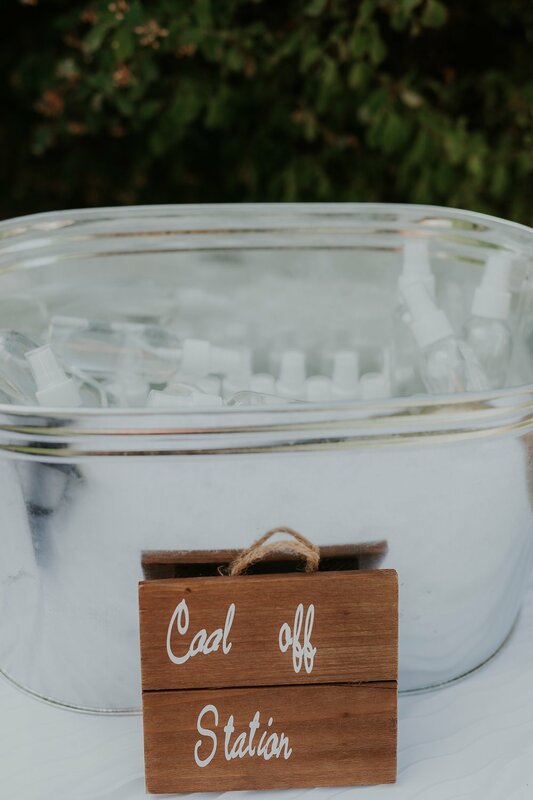 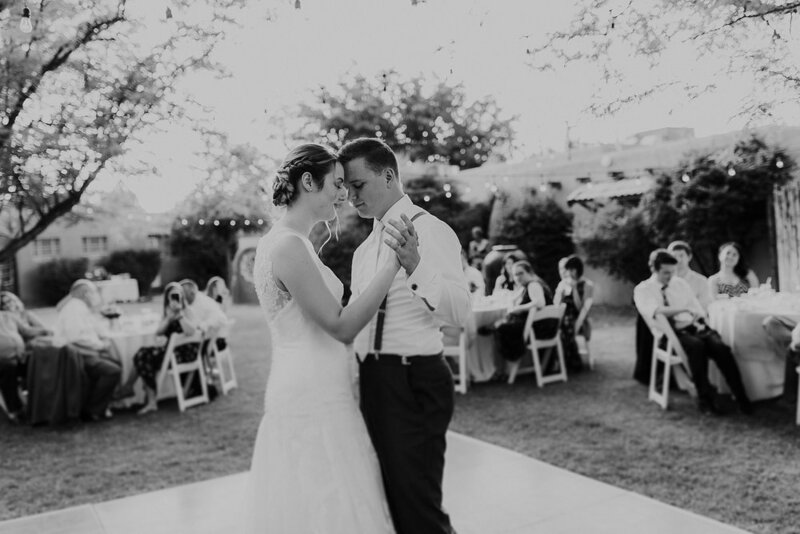 This sweet couple exchanged their vows in the closest place to a fairytale garden you'll find in the southwest, surrounded by close friends, family, and even the bride's 95 year old grandmother. 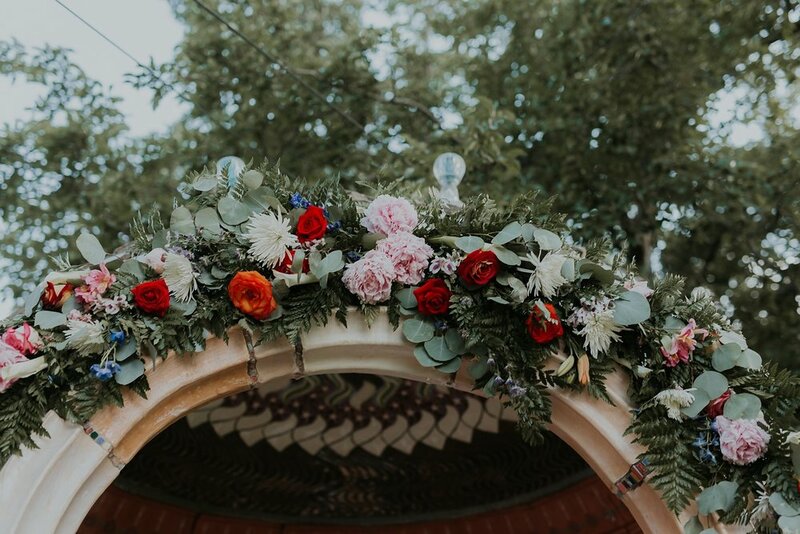 Matthew and Laura paired gorgeous, simple details with bright pops of colorful florals (designed by the groom's mom! 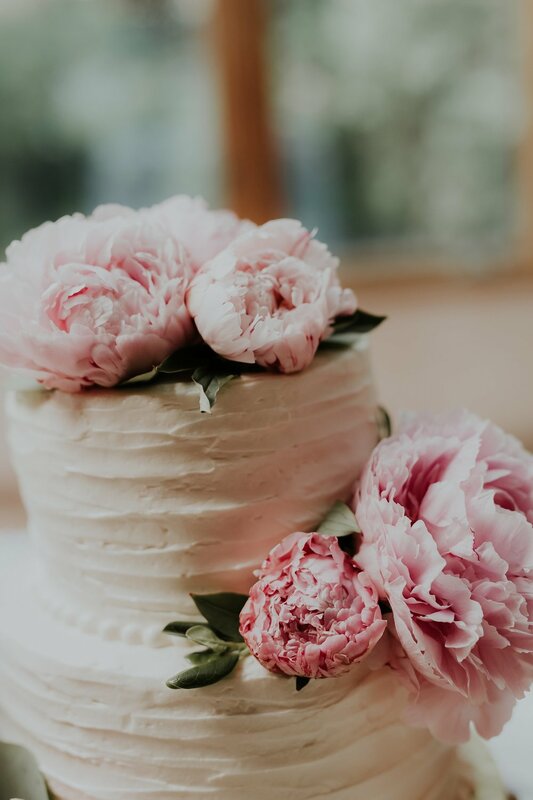 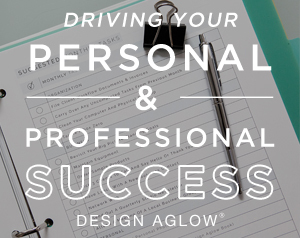 ), a to die for peony adorned cake, and a breathtaking sparkler exit! 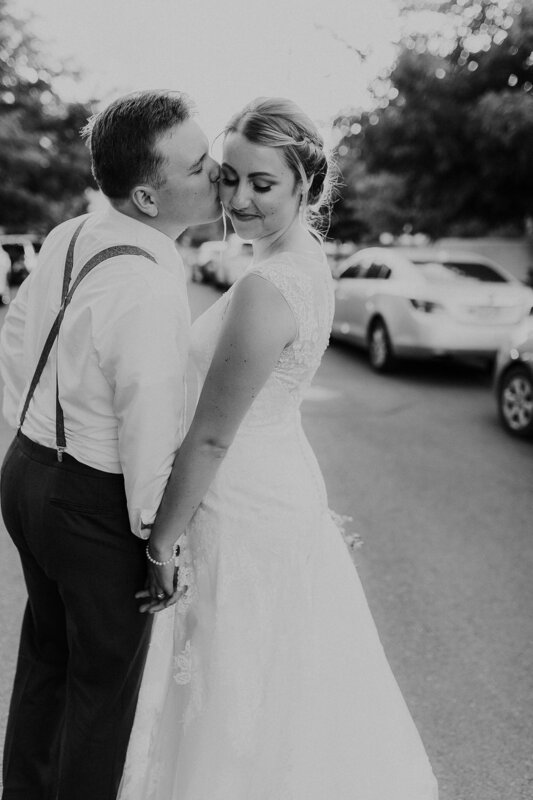 We loved being part of the Herman's dream of a day!